This large quilt was the Best of Show winner at the Iowa State Fair. It was also exhibited at the Lancaster Quilt Show and Paducah Quilt Show and chosen by the Japanese quilters to be exhibited at their International Quilt Festival. The Quilting Today Magazine featured it in one of their issues. It was a First Place winner in the American Patchwork & Quilting Magazine where the prize was a Bernina 1260 machine. 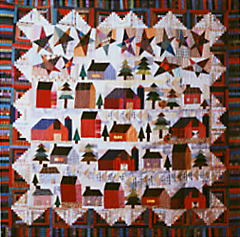 A variety of buildings, trees, and stars are incorporated into this colorful quilt which has fillers of many descriptions and is ringed by the wonderful Log Cabin squares plus strip border. Applique with other embellishments is an option. 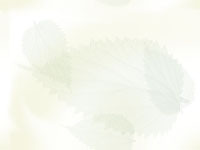 Pattern piecing or paper foundation piecing are included. Backart Split Nine-Patch pattern is also shown with color suggestions.